So with the last couple mods I've done going out the door, I'm left with no new mods to show and a LAN quickly approaching. Sure I could bring TRON again, but that was so.... last year. I need to bring something new! So I decided to resurrect one of my old projects. I present one of my first mods I ever did: Sideview! Some of you may have seen it before, in my case gallery. 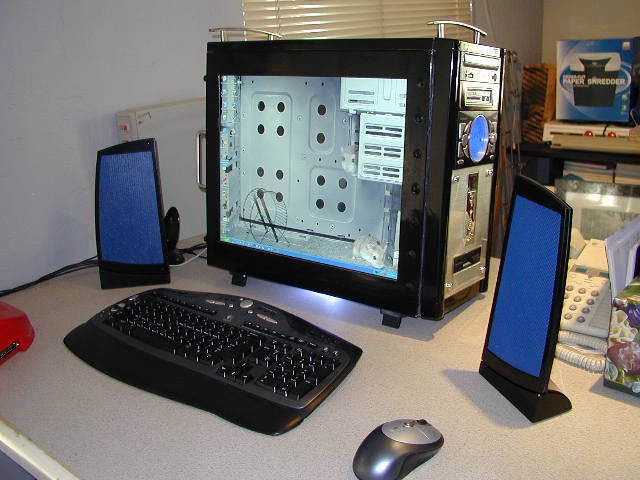 I built it in 2004 just so I could save some desktop space so my 4 other buddies could fit their rigs on my table when we had our little gaming parties. 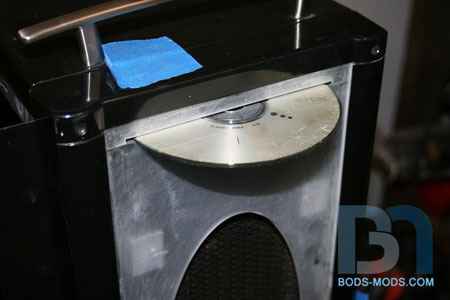 It features a 19&#34; Samsung monitor fully integrated into the side. 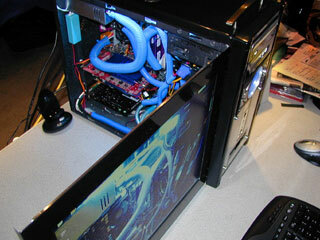 I believe it had a SOYO Dragon motherboard with an old Athlon processor, and a Radeon 9800XT video card in it. 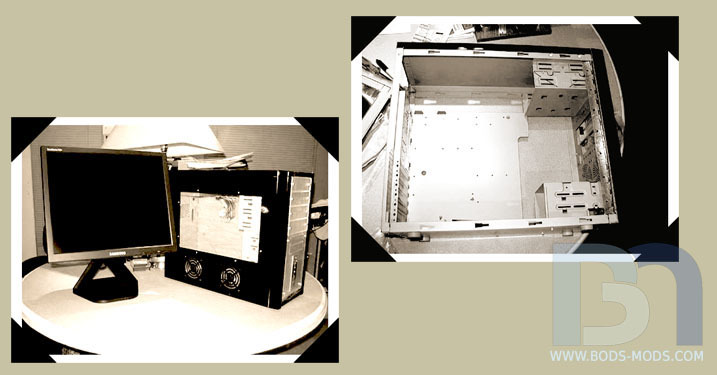 Mid range hardware back then, but decent enough to play Call of Duty:UO (my game of choice at the time). To breathe new life into this thing, obviously I need newer hardware. 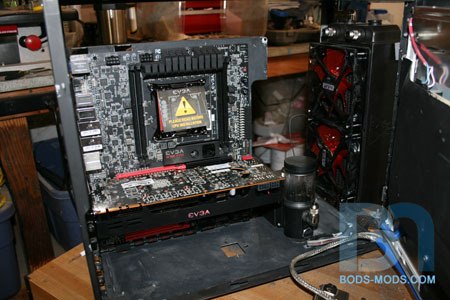 So I'll be installing a new X79 motherboard from EVGA, sporting an Intel Sandy Bridge E processor, along with an EVGA GTX560 Ti graphics card. I don't have much time, but I'm going to see if I can wc the cpu. 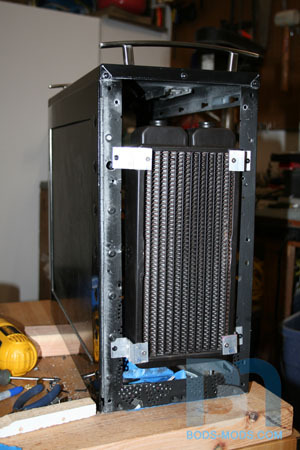 I think I can fit a 240 rad in the front of the case by removing all the HD cages. Don't really need them since I'll be using a Crucial 128Gb SSD, and a slot-loading DVD drive. These were flip-down feet I grabbed off an old XT keyboard lol. Elegant brushed aluminum drawer pulls from Lowes. 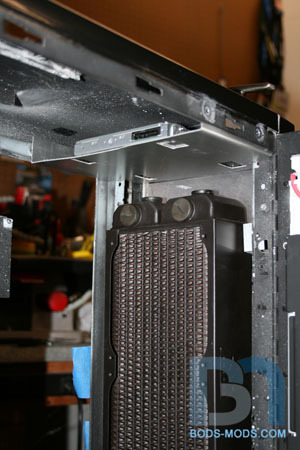 Relocated the monitor controls to the front of the case. 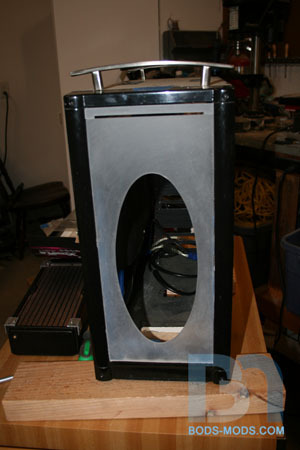 I'll try to dig up some work-in-progress pics and post 'em up for a brief look at how I originally built it. 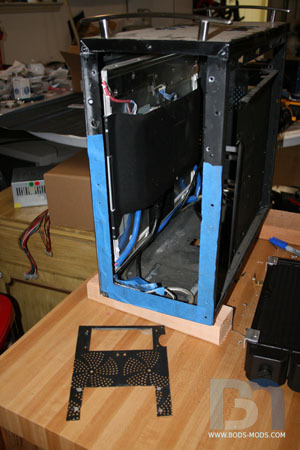 Cutting out the remaining front panel so I can fit the Phobya 240 rad I won from Bit-tech. 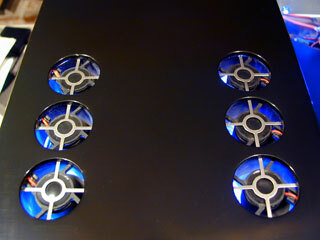 Front bezel cut as well. 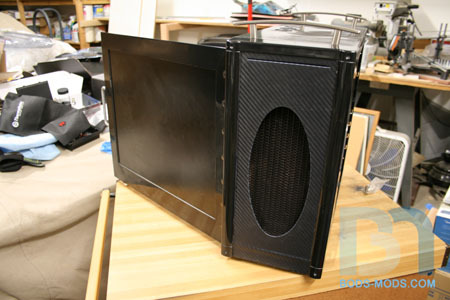 I'll be inserting a new piece that will have an oval opening for air intake, and a slot up top for the optical drive. Wow, 2004 back when you had to use film to document things. Creepy. It's fun to see a resurrection on the mod though. 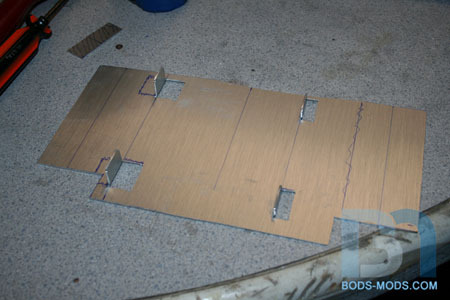 Been working steadily all weekend on this thing, making brackets for mounting stuff. 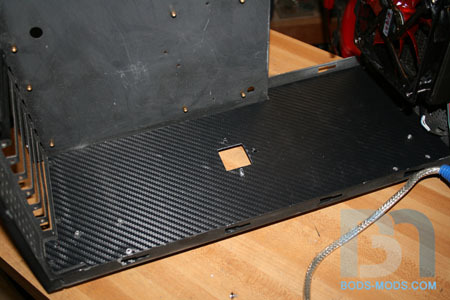 In order to finish up the rad mount, I first had to cut out the front bezel for the air intake. 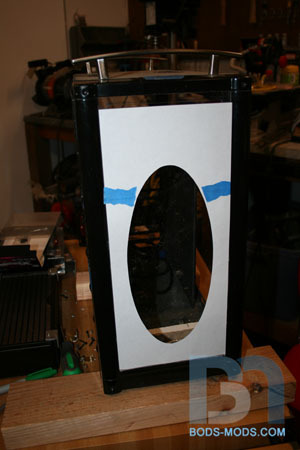 I made up a paper template and taped it up onto the bezel. Traced it and cut it out. 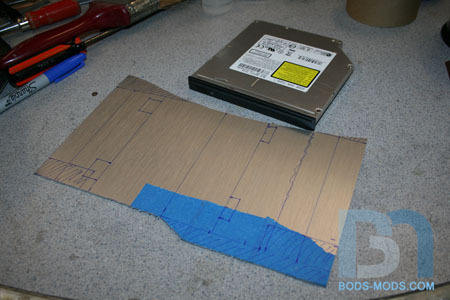 Filed, smoothed, and sanded. 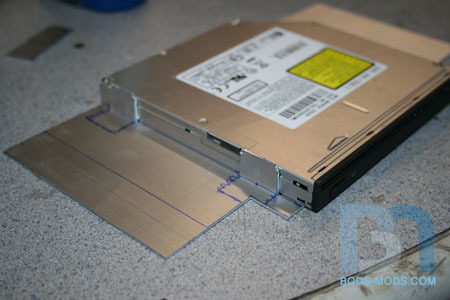 Also added the top piece to complete the area around the optical drive slot. 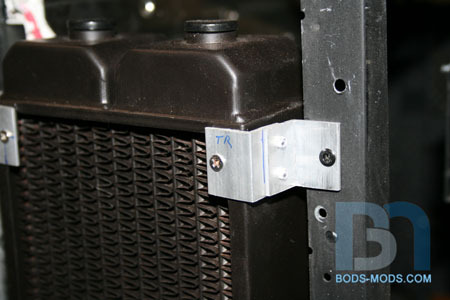 After that I could position the radiator, measure, and make the mounting brackets. I used two pieces of 3/4&#34; angle bar for each corner. A close up shot. Pretty simple and does the job. And with the bezel back in place. 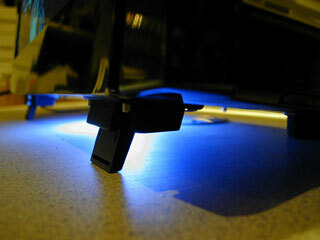 Next up was the optical drive. 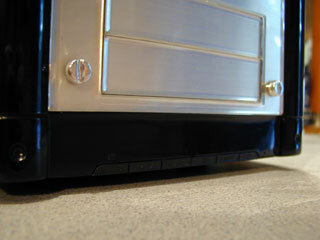 Now that I had the slot in place, I knew where to position the drive itself. 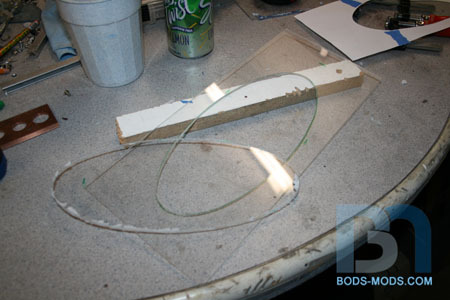 I took a piece of scrap and drew out the bend and cut lines. 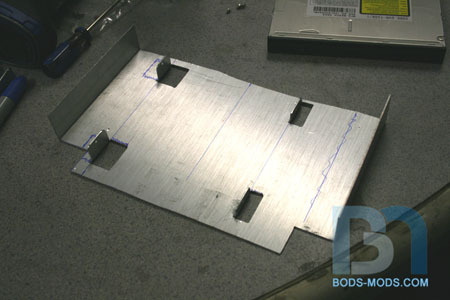 This will be a one-piece design that will utilize the existing holes originally for the drive cage. 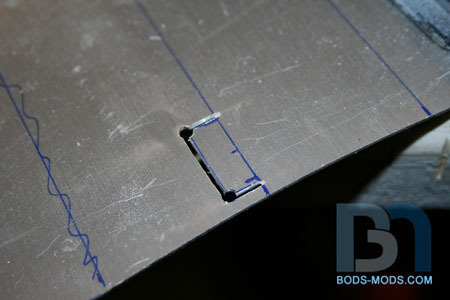 Rather than making a separate angle piece to secure the drive to the main bracket, I opted to cut out some tabs and just bend them up. All four tabs cut and bent. And the drive fits like a glove! 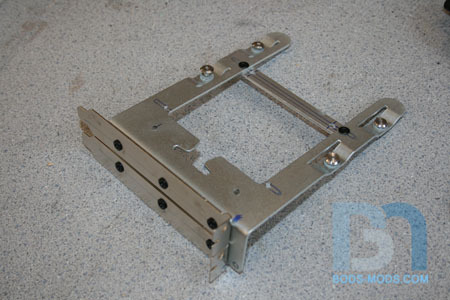 Next I bent the ends of the bracket so it would fit in between the sides of the case. 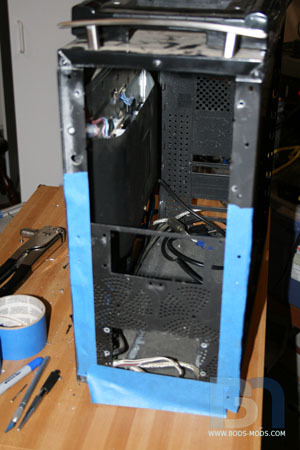 After aligning the drive slot to the slot on the front bezel, I marked the holes on each side of the bracket, drilled, and secured it in place. 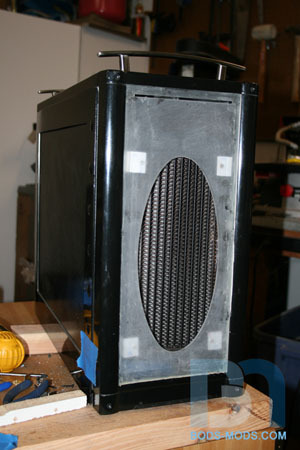 Finally it was time to place the components in the case. 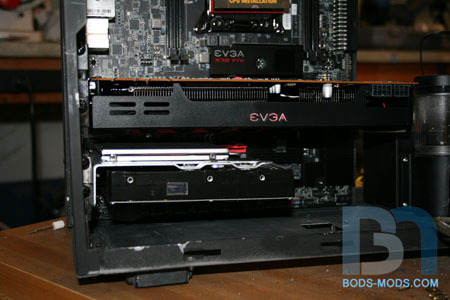 I'm using EVGA's X79 FTW motherboard with an Intel SB-E processor, and a GTX 560 Ti 448 graphic card by EVGA as well. 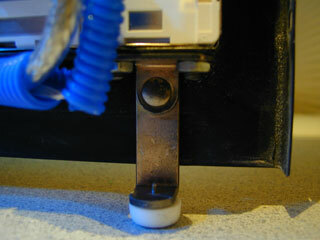 Next to the radiator is the Phobya pump with accompanying mini res. So now, where to put the hard drives? 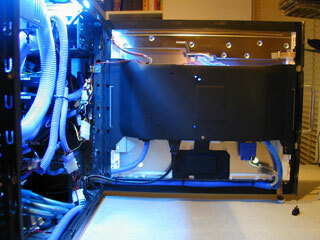 There aren't too many places left in the case, since the monitor takes up most of the area in front of the motherboard. I could go up top, but I figured out an easier solution. I found the perfect HD bracket in my stash. I think it came from a Mac lol. 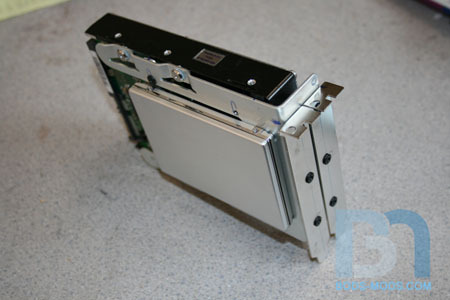 I modified it to not only mount a standard 3.5&#34; hard drive, but an SSD on the other side. 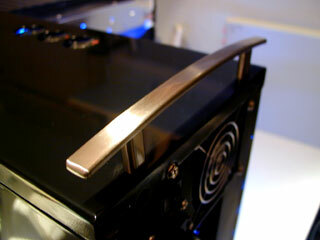 Then I stuck two PCI brackets on the end so I could mount it the same way as the video card. It's pretty solid, and not much sagging considering how heavy it is. And that pretty much takes care of everything that needs to be mounted. 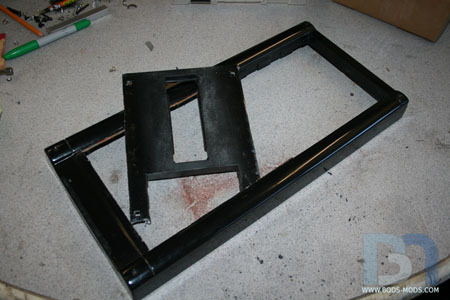 I just have one more support bar I need to make, to reinforce the motherboard tray at the top, and the fabricating is done. Then I can move on to cleanup and installation. i love the old pictures. It reminds me of my current work... which only makes me 8 years behind you in modding skill? *sigh* Oh well, if I can bust out a Tron Cycle level case in 7 years, I'll be happy. lol Charlie. You got mad skills already. Eight years ago I wouldn't have even dreamed about forging my own case out of cast aluminum. I shudder to think what you'll be doing next, let alone seven years from now. Ok, got a few more pics for ya tonight. 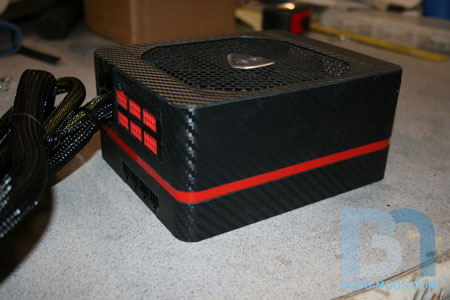 Finished all the fabricating, so I moved onto some dress-up..... Di-Noc carbon fiber vinyl! 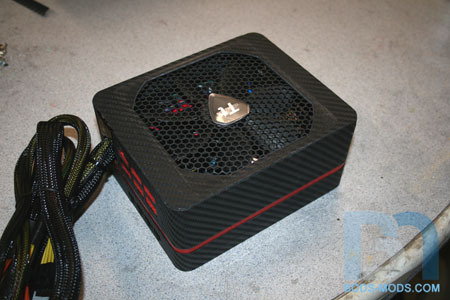 ...and the power supply. 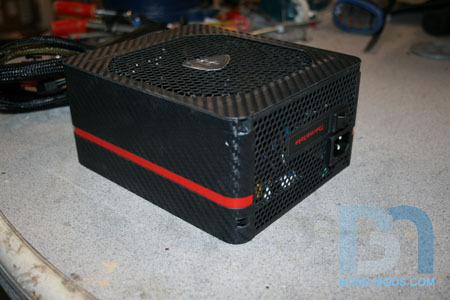 This is Thermaltake's new Toughpower Grand 850w psu. Love the rounded corners! Got just a couple minor things to take care of before I can install the system, like the power button and top exhaust fan. Should be able to cross those off the list tomorrow night. Last edited by artmuz83; 02-09-2017 at 04:31 AM.